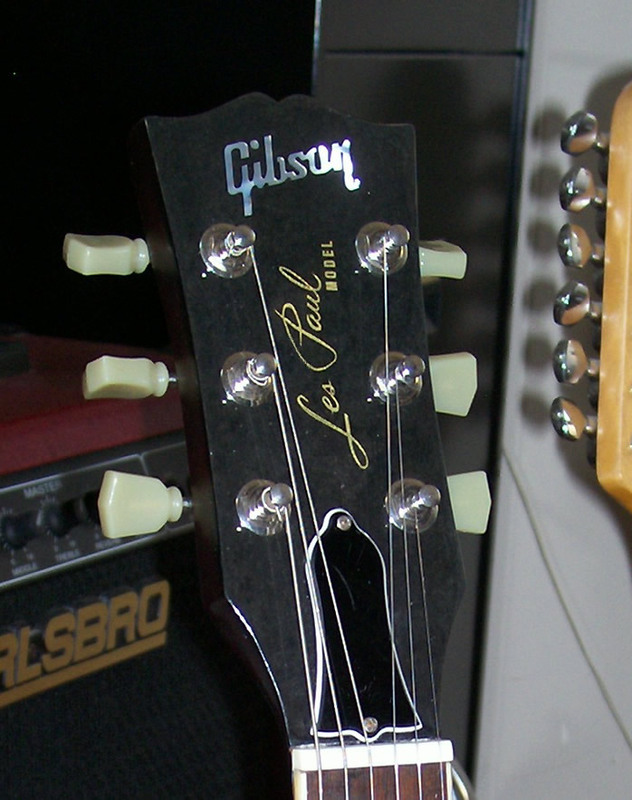 L. Lenoff. Bronx. 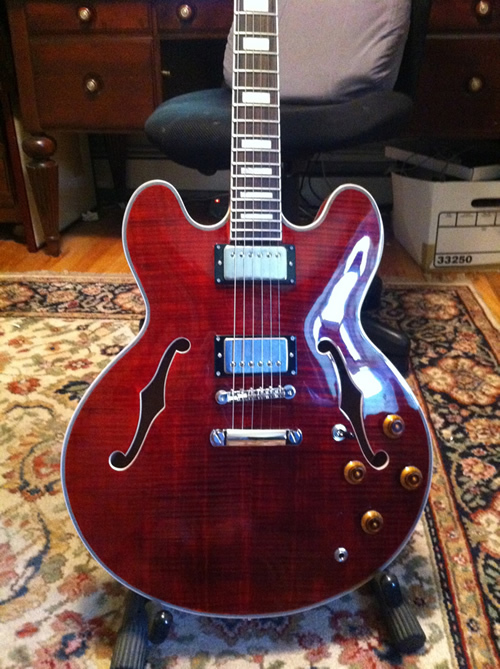 NY ES335 Build using our flametop kit. 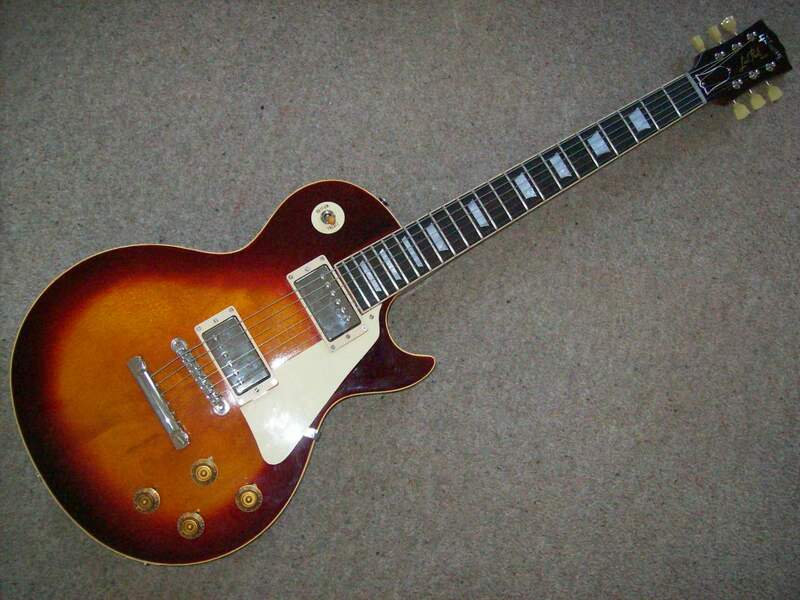 Bob M...Brooklyn N.Y 1956 Vintage Gibson Les Paul Special Sn. 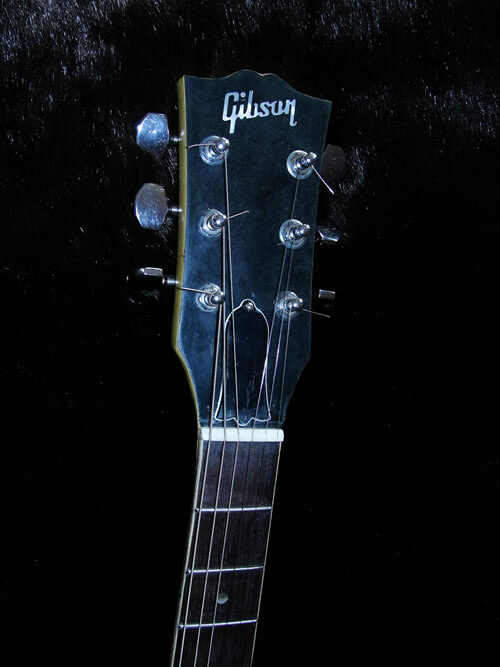 3 8669. 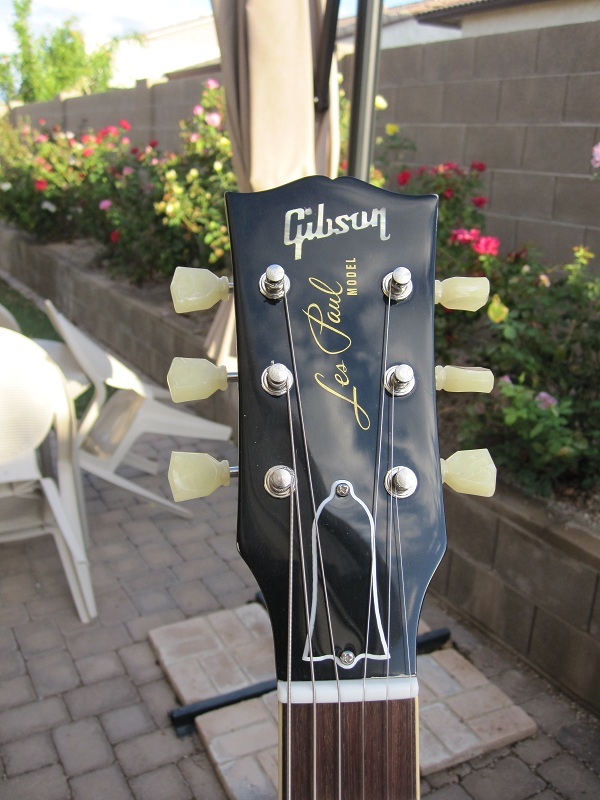 "Headstock was completely broken off ... 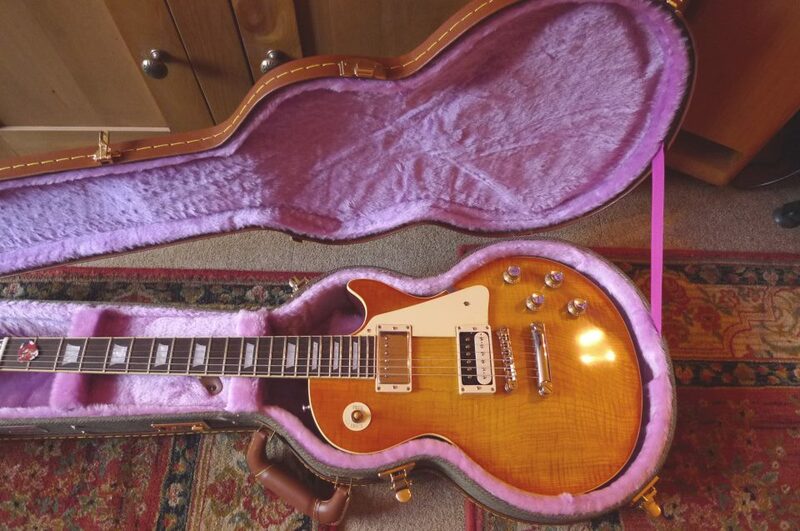 I used yor LP 59 Historic overlay which fitted perfectly"
A superb 1997 Gibson Les Paul Custom repair from Mike Lankford Evansville, IN using the LP Custom overlay. 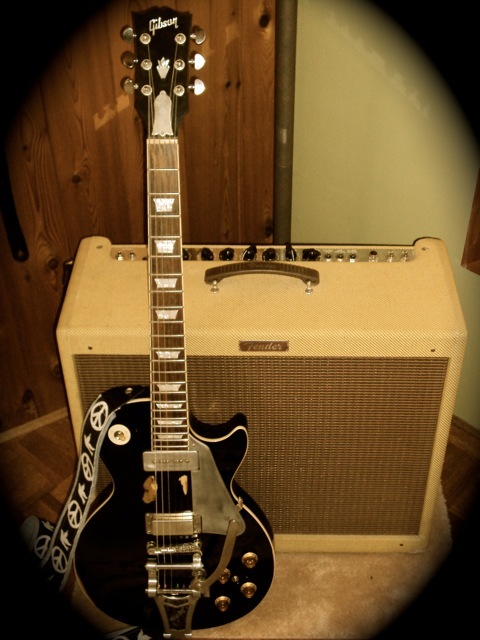 Mike Lankford from Evansville, IN. 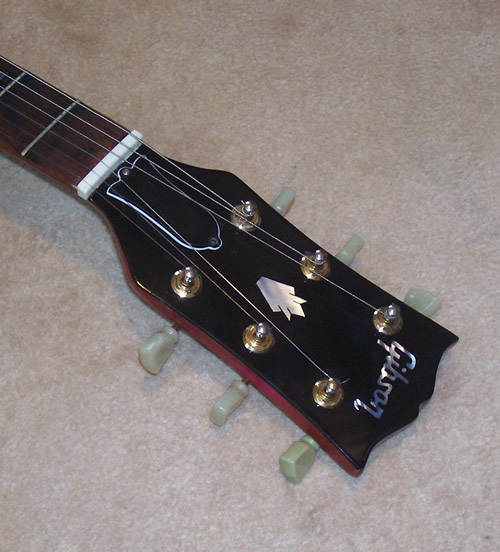 "Headstock snapped at nut. 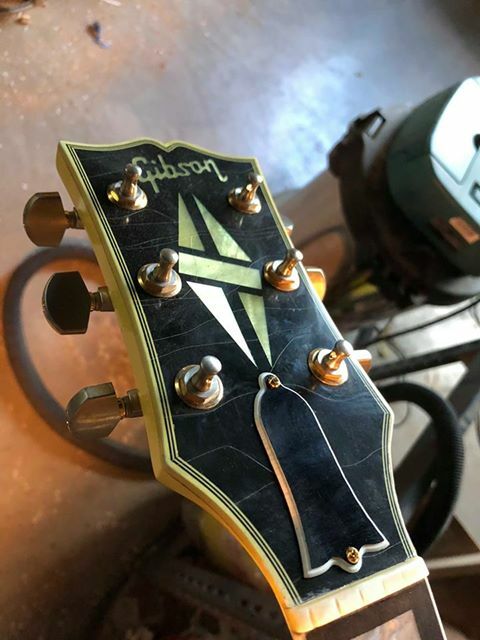 It was one of the worst and most difficult headstock repairs I have ever done. 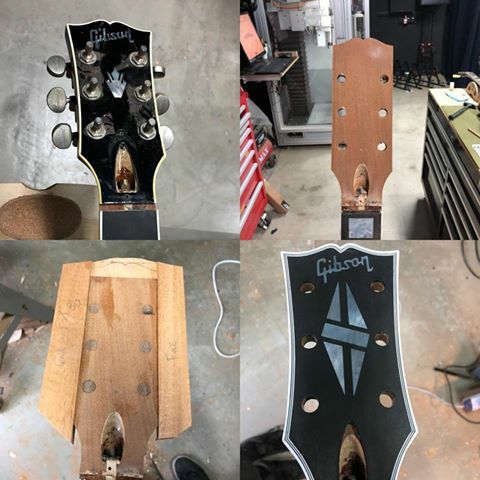 Had to remove all the old epoxy and headstock overlay, installed splints in neck and refinished the neck. 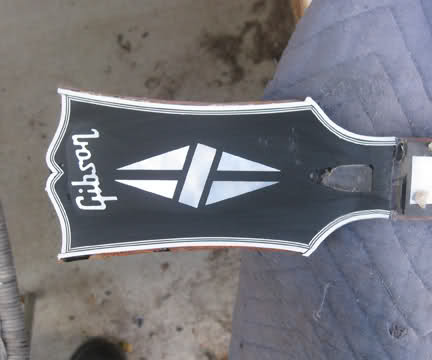 Then replaced the overlay with one of yours and detailed the neck. 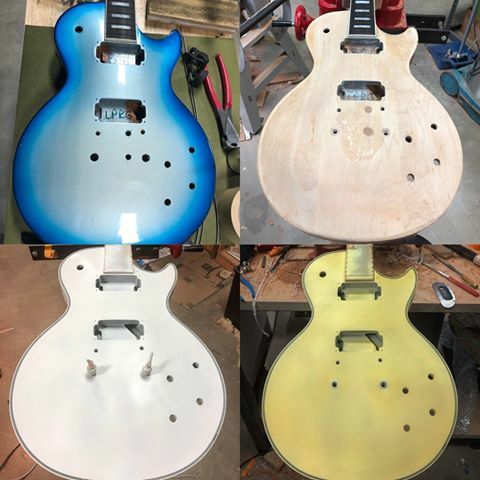 Re yellowed the binding on the fret board and then removed the yellowing from the dots and cleared and polished the whole thing.Your overlay saved a great guitar, thank you for a quality product. 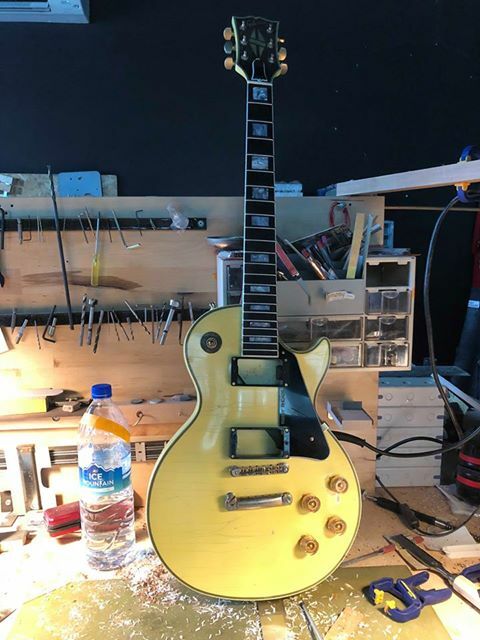 Benoit de Bretagne - a Luthier from France - repair/restoration Gibson Les Paul Traditional 2010 using an LP Standard overlay and Les Paul Model gold script decal. 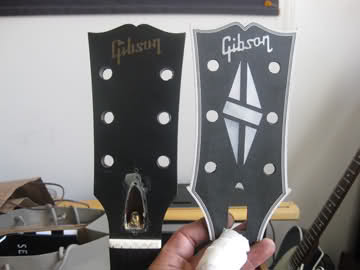 This is a superb repair - See all pictures here. 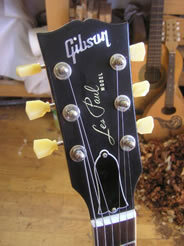 2005 Epiphone Les Paul Goldtop, headstock conversion using an LP 59 Historic Overlay. 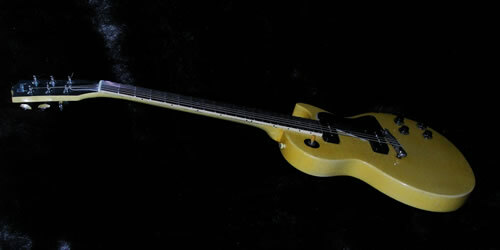 J. Zavala, Wichita Falls TX. 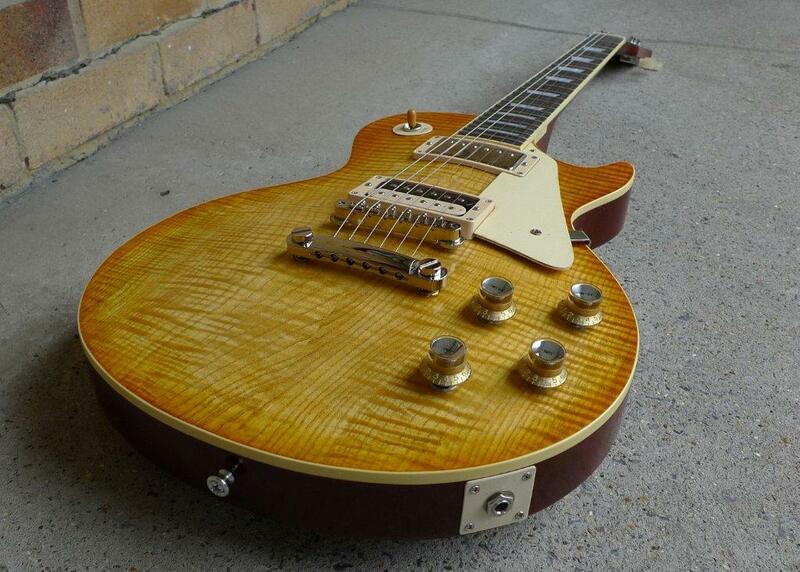 Gibson Les Paul Menace - LP Standard overlay and Les Paul Model gold script decal.